Who is this Irish Terrier? 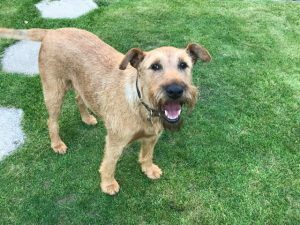 We recently found an advert featuring this lovely Irish terrier. Does anyone know who this jolly boy or girl is?